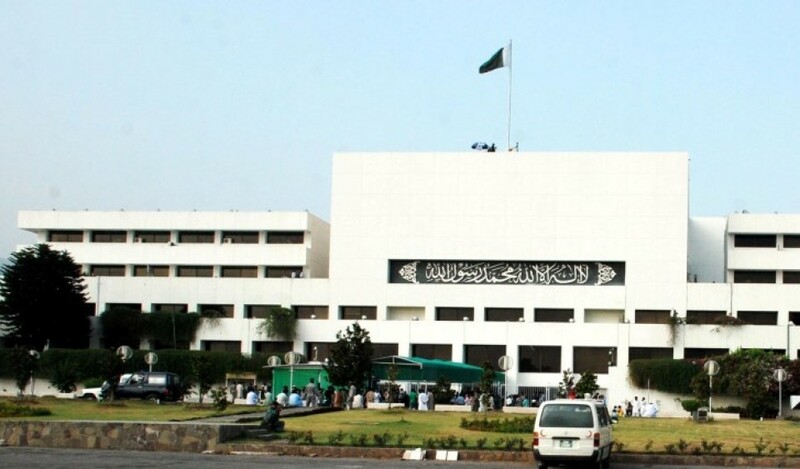 JNN 20 Jan 2014 ISLAMABAD – Amid a growing energy crisis, Pakistan is installing a 1.8 megawatt (MW) solar power plant at the Parliament House building in the capital city Islamabad. Work on the project began in the first week of January. The initial cost – which is being funded by the Chinese government as a friendship gesture – is estimated at $60 million. The solar plant is projected to save almost $1 million each year in utility bills for the parliament complex. “This is the first project of its kind (in a public building) in Pakistan, and later more public buildings will be converted to solar power to overcome the energy crisis,” said Munawar Abbas Shah, a special secretary at the National Assembly. Beijing has formally approved the funding for the parliamentary solar plant, so “Pakistan is not going to spend even a single penny,” Shah added. Although Pakistan has no plans to introduce solar power on a large scale, China recently helped Punjab province set up a solar park of over 10,000 acres (around 4,000 hectares) with potential to generate 1,000 MW. Meanwhile, some experts hope that the high-profile example set by the government in Islamabad will encourage uptake of domestic solar energy kits for individual households. Many remain unconnected to the electricity grid, or are suffering from the country’s chronic power shortages. But the government and the private sector must take measures to incentivise consumers, they argue. Parliament House, where both the National Assembly and Senate meet, was designed to be centrally air-conditioned. “The consumption of electricity in the parliament even jumps over 2 MW in summers when the house is in session,” Shah said. The solar energy plant will help reduce greenhouse gas emissions, as well as overcoming the frequent and prolonged power outages that affect the buildings, he added. Pakistan faces a year-round electricity shortfall which rises to about 7,000 MW in the summer months, leaving the majority of its citizens without continuous supplies for extended periods each day. The power situation is worse in off-grid homes. According to a World Bank report, around 44 percent of households are not connected to the grid. More than 80 percent of these are in rural areas, where a World Bank survey found that 30-45 percent of households use kerosene as a primary or secondary source of lighting. Promoters of solar power see an opportunity, despite the lack of infrastructure. Iftikhar Ahmad Qaisrani, founder of the Renewable Energy Society for Education, Awareness Research and Community Help (RESEARCH), an Islamabad-based organisation representing the renewable energy sector, said Pakistan is blessed with 320 days of sunshine per year and around eight hours of sun per day. Solar home systems could be a widespread solution, as long as they can be made affordable, he believes. Pakistan’s neighbours India and Bangladesh already benefit significantly from solar power, having converted most of their irrigation systems to this renewable source, which also provides off-grid power to thousands of homes, Qaisrani noted. Converting a single home to solar power may cost $3,500 to $4,000, but if correctly installed, the system can provide uninterrupted electricity for 25 years, Qaisrani said. “Pakistan can also save millions of dollars (in) foreign reserves per annum just by switching to solar power,” Qaisrani added. The country uses fossil fuels to generate around 65 percent of its electricity. Over half of that fuel must be imported, and as prices rise on international markets, Pakistan’s electricity is becoming more expensive. Manufacturers in Pakistan rely on imports for the components of solar power systems, as no solar cells or photovoltaic panels are manufactured locally. Solar panels are brought in from Germany, Japan and China, while batteries are both imported and locally manufactured. The cost of components for solar home systems remains high because a 32 percent import duty is levied on solar photovoltaic cells, 10 percent on batteries, and 15 percent on ready-made solar lanterns. Abdul Hanan Siddhu, a solar energy consultant, said solar home systems could be up to 20 percent cheaper if import duties on solar panels were abolished. In addition, the government should exempt solar components from the general sales tax of 17 percent, he said. “The government should also encourage local manufacturers to start cell manufacturing to reduce the cost,” he added. On top of this, government subsidies could help boost the solar off-grid lighting sector. While lack of awareness about the advantages of solar energy has kept the market small,people are beginning to turn to solar power partly in response to prolonged power outages, Siddhu added. RESEARCH’s Qaisrani acknowledged there is as yet no national strategy to promote solar lanterns or solar home systems, but described parliament’s conversion to solar power as “encouraging”. This entry was posted in Asia Pacific, Pakistan News and tagged Energy Shortage, Green Power, pakistan, Parliament, Solar Power. Bookmark the permalink.